The floorstanding F5 leverages the strengths of the compact B5, then significantly builds on them. Yes, there’s the same warm, relaxed, and responsive midrange, overall tunefulness, and strong sense of musical truth. What distinguishes the F5 is the sheer volume of air that its additional pair of woofers can move. This results in dividends that include authentically weighted orchestral scale, rock-level dynamics, and vocal reproduction that depicts singers as fully formed and fleshed out with chest resonance, weight, and bloom. 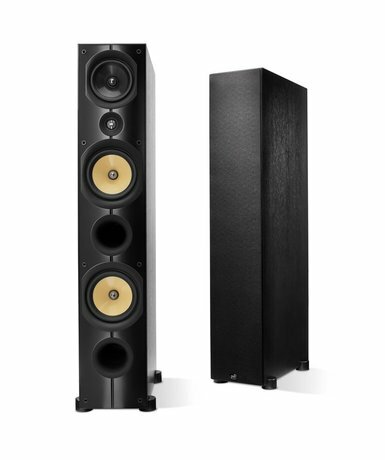 While the speaker may be not flawless, it could be reasonably argued that the F5 is as faultless as a transducer is likely to get at this price. A veritable gift to budget-conscious audiophiles and the younger audience. 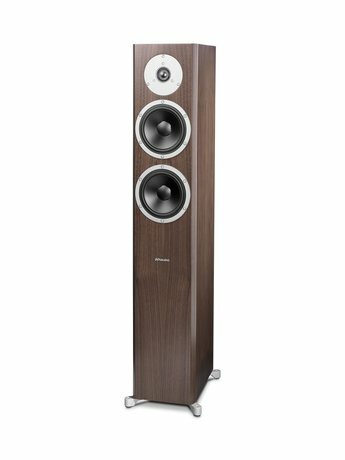 From one of England’s most venerable speaker-makers, this two-and-a-half-way floorstander with aluminum Uni-Q coincident midrange/tweeter, 5.25" aluminum woofer, and two 5.25" passive radiators is one of the most articulate loudspeakers our reviewer has listened to, with an extraordinary ability to reproduce low-level information accurately in the presence of high-level signals close in frequency. Though it would benefit from the addition of an output control that allowed the Uni-Q to better match the woofers, the Q500 offers noteworthy value and overall quality at its price point. 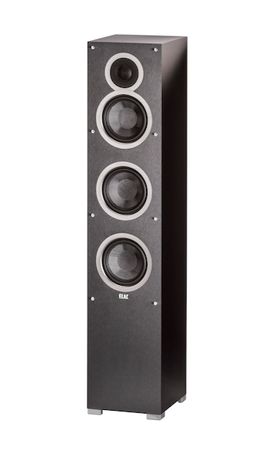 Simply put, these powerful, fairly compact, four-driver, three-way, quasi-D’Appolito floorstanders live up to Canadian manufacturer PSB’s main marketing message: “Real sound for real people.” Big bang—and plenty of bass—for the buck is what you can expect. The X2Ts deliver unexpectedly robust low end for their category—something audiophiles tend to drop big coin for. In definition and solidity, they may not serve up the kind of bass you can sit on, but their bottom octaves are still unusually full, powerful, and nicely differentiated in pitch. What’s more, the X2Ts also offer a strong power range, as well as excellent midband focus and naturalness. (Indeed, the midrange driver is housed in its own enclosure for ideal dispersion and minimized distortion at higher SPLs.) If you like a more bottom-up sound with a side of denser tone color, these PSBs are bound to please. It’s a rare speaker, says JM, that’s this easy on the wallet, and this easy to love. Meet Magnepan’s latest “mini” planar dipole, the two-way, floorstanding, all-quasi-ribbon-driver MG .7—a speaker that is capable of a fuller-range and more natural sound than any previous “mini” Maggie. 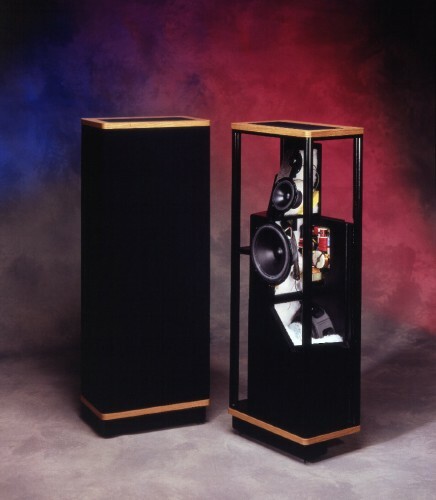 Although Julie Mullins knows that most TAS readers have already made the acquaintance of Maggies, the .7s are still impressive, offering a practically unbeatable quality-to-cost ratio. During her listening tests, she was delighted to discover that they consistently delivered a beautiful and open presentation graced with a striking measure of air and light. Soundstage reproduction was stunning across a wide range of music. In addition to their tough-to-beat price, the .7s become even more attractive when you consider that Magnepan is offering a 30-day in-home trial and a money-back guarantee. Whether you’re in the market for a starter pair of high-quality speakers, or have the proverbial champagne taste on a beer budget (or both! ), why wouldn’t you consider these babies? They’re terrific. 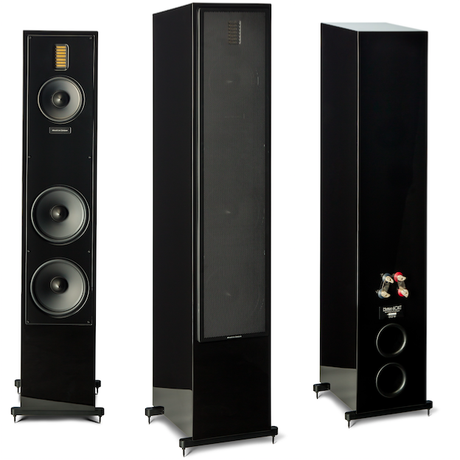 One of the best loudspeakers for the price, this D’Appolito floorstander was one of CM’s favorite products. The Triton Sevens are equally adept in a two-channel system or a home-theater setup. Capable of handling up to 300W, with bass that dips into the 29Hz range, these three-way, five-driver speakers are perfect for starter systems or home-theater needs. 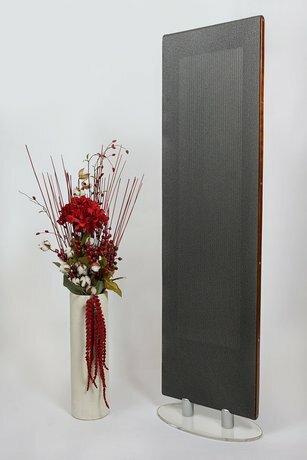 Sandy Gross, the proprietor of GoldenEar, may be the Babe Ruth of reasonably priced loudspeakers. With the Triton Five, the gregarious Gross has hit yet another one out of the park. Named after the sea god Triton who could calm or rouse the waves by blowing on his conch, the Triton has a similar quality. It’s a remarkably low-distortion design that belts out Led Zeppelin but also has the finesse to reproduce the most finely filigreed musical passages. A high-velocity ribbon driver helps account for the purity of the treble. And four side-mounted sub-bass radiators allow it to plumb the Stygian depths of the sonic spectrum. Not least, it’s also an elegant and unobtrusive-looking design that should appeal to a wide range of listeners. For all his ingenuity, it will be hard for Gross to surpass the Triton Five. 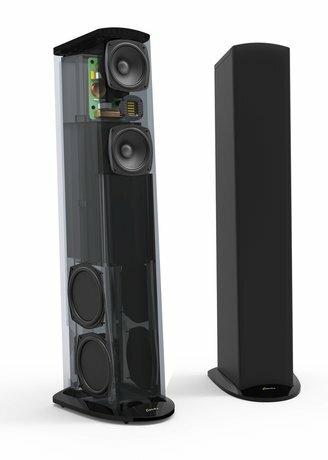 A floorstanding hybrid, combining sealed-box bass with magnetically driven planar membranes (two-sided drive) for midrange and tweeter, this is one of the lowest distortion speakers ever. It is well balanced and very nearly phase linear, though not ruler-flat in response, with small bumps at 1kHz and 8kHz. The LFT-8b goes up seemingly forever, and down to very near the bottom of audibility in the bass. Ideal listening requires a position close to exactly centered, with the speakers precisely angled, but at the magic spot, imaging is superb. Set up right, the ETs can sound remarkably like music, with a most pleasing lack of box coloration and a truly startling purity of sound. In REG’s estimation, one of audio’s all-time amazing bargains. 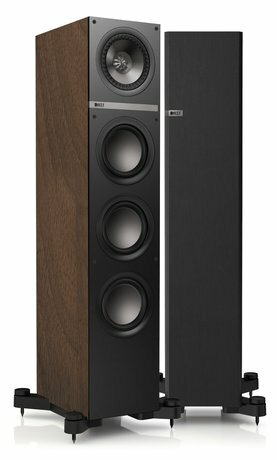 The Vandersteen 2Ce is the classic three-way floorstander, delivering excellent top-to-bottom balance and engaging musicality. 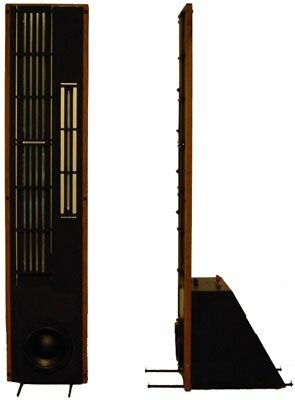 Moreover, Vandersteen’s baffle-less, time-and-phase-coherent design can suggest the spatial focus usually heard with planars. It benefits from bi-wiring and should be placed away from walls. The first-order crossovers essential to time-coherent performance somewhat limit maximum sound-pressure levels. The X34 occupies the affordable sweet spot in the broad Dynaudio line. This slim, 36-inch-tall two-way has crisp, clean, understated lines, and a very small footprint. Musically the X34 isn’t partial to a specific genre—it’s equally satisfying from country to classical. Anchored by a surprising allotment of low-frequency energy and dynamic punch, the small tower achieves nearly a full spectrum of spirited output and authority, with just a hint of mid/upper-bass ripeness. Vocals are well balanced with a good measure of chest resonance and upper-octave air. Strings could be sweeter, and violin section layering is not quite fully reproduced, but, overall, the X34 is a versatile little number that’s willing and able to get down and party with the best of them. The Motion 60XT with folded-motion tweeter is not a perfect loudspeaker, but it does many things not only right, but magnificently, provided a suitable amplifier is used to drive it. 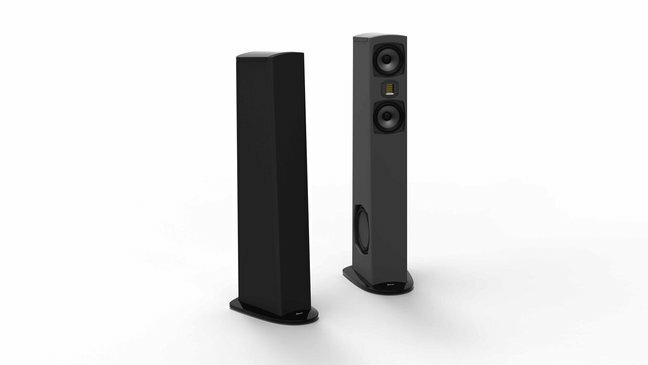 As the speaker was designed by the same team that creates the company’s electrostatic models, it should come as no surprise that the upper midrange and treble are similarly voiced to ML’s ESL models, though with slightly less finesse in the upper frequencies. Voices are lifelike, engaging, and captivating. An added benefit of the excellent driver and crossover matching is the realistic lower-midrange/upper-bass performance. The 60XT produces a broad soundstage that exceeds the width of the loudspeakers’ placement, with pinpoint imaging and amazing, three-dimensional depth. The twin 8" woofers produce bass extension that will satisfy all but hard-core pipe organ and electric-bass aficionados.